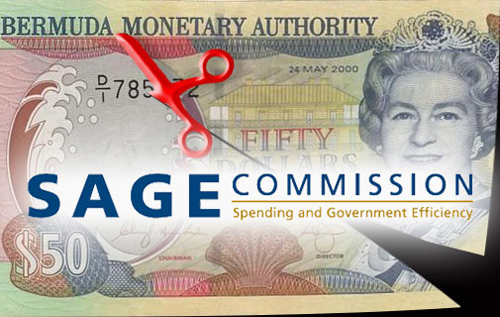 How do you think that implementing the SAGE recommendations will affect Bermuda’s economy? *Supplied by Profiles of Bermuda, Notes: Category totals may not add to 100% due to rounding. The survey was conducted among 375 registered voters between 20MAR14 and 18MAY14 and has a margin of error of plus or minus 5%. Some 69% of respond-ents were obtained by landlines, 24% by cell phones and 7% via the internet. Data for all demographics were weighted to reflect the 2010 Census. Nearly one-third of voters (32.5%) believed that implementing the recommendations from the SAGE Report will likely improve the economy. Just over 3 in 10 voters (30.7%) were either not sure of the impact or had not read the report. 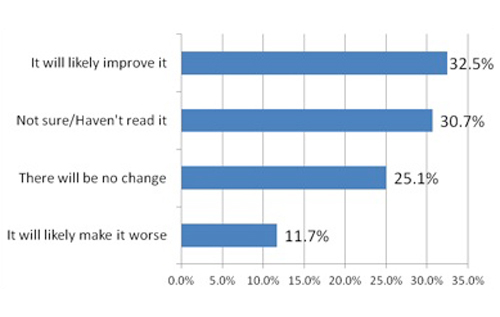 While just over one-quarter (25.1%) felt that implementing the recommendations would make no difference to the economy, just over 1 in 10 voters (11.7%) felt that implementing the recommendations would have a negative effect on the economy.